Arm Street Park is in the seaside city of Victoria, one of thirteen communities that form the Capital Regional District of British Columbia. Arm Street Park lies on the south side of the Gorge Waterway along the channel called Victoria Arm. 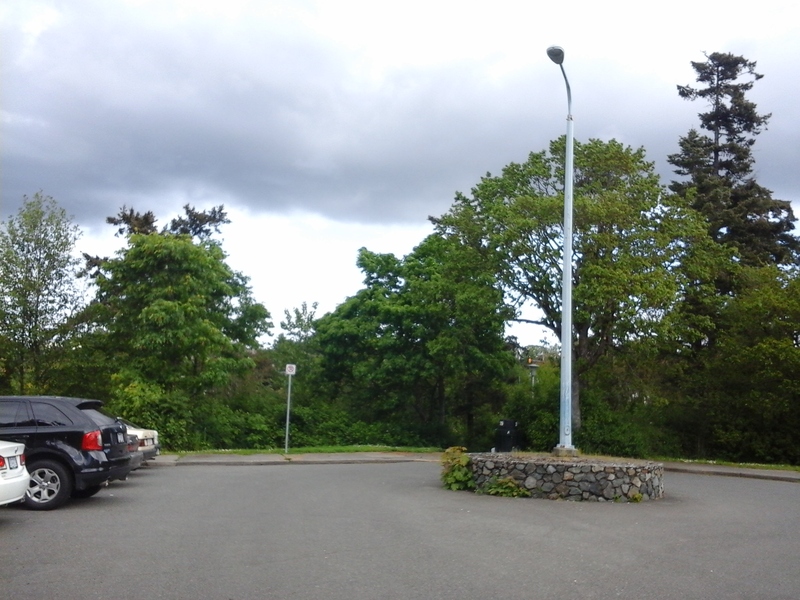 Arm Street is the border of Esquimalt and Victoria and its road right of way provides the division of the park lands. 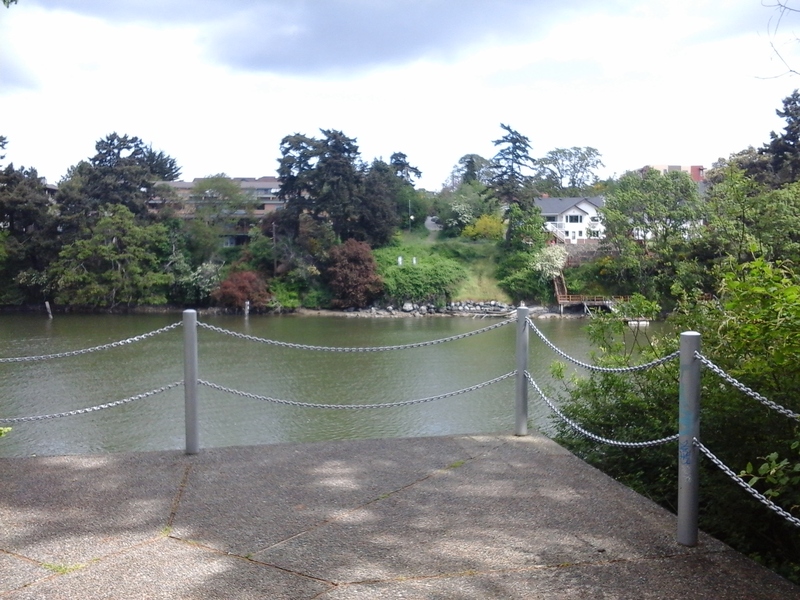 This one and half hectare park has grassy area near the cul-de-sac perhaps to play bocce, toss a Frisbee or just relax. The pathways through the woods lead to the shoreline. There are benches along the concrete pathways that leads to the promenade along the water. Garry oak and arbutus trees provide shade along the pathways that was developed in nineteen eighty two. 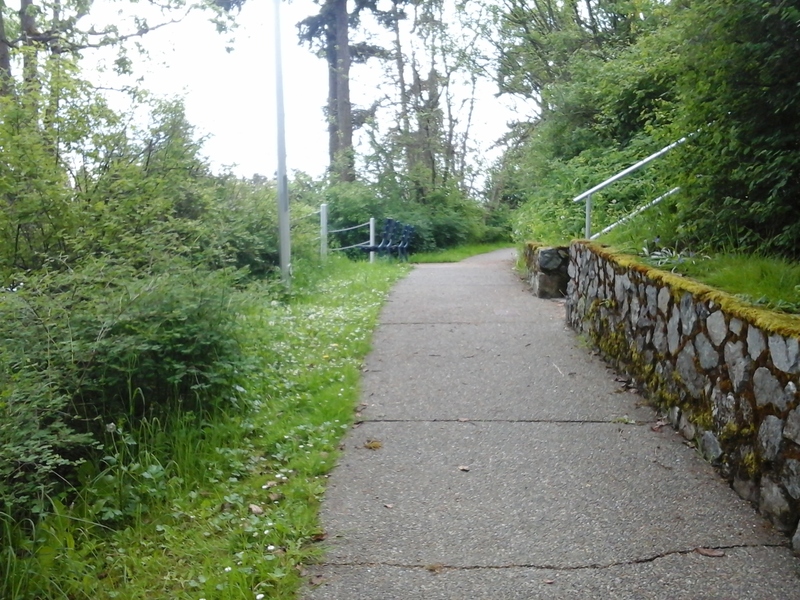 One pathway has ten stairs while the other is a switchback to make it down the slope to the water’s edge. There is no easy access into the water, to launch a water craft or swim, as the promenade is formed on a rock and concrete wall. The area near the shore has a couple of trees in a grassy area. Arm Street Park borders along Arm Street Promenade in the Municipality of Esquimalt. Directly across the channel is Harriet Road Green Space. Arm Street Park can be reached from the Trans Canada Highway. Continue along the highway as it becomes Douglas Street. Turn west onto Bay Street and continue across the Point Ellice Bridge. At the first lights turn right onto Skinner Street (a sharp right puts you onto Tyee Road). Skinner Street turns to become Craigflower Road a couple of blocks along. Arm Street is along the road. Turn right onto Arm Street and continue to the end where there is roadside parking near the light post in cul-de-sac. A city bus travels along Craigflower Road from downtown.